Our CROSSFIT TELIC FREE TRIAL will give you a chance to experience a CrossFit session, and find out how we can help you work towards your health and fitness goals. 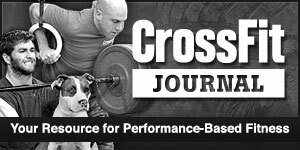 Feel free to browse through our tabs and discover the challenging world of CrossFit. CrossFit Telic Hartlepool is unlike any other gym, here you will NOT find rows upon rows of treadmills, vibro-plates or any other computer generated machines, you will not perform any isolated or restricted movements. What you will find is a group of like-minded individuals carrying out functional compound exercises involving the body’s natural movements. We make use of pull up frames, plyo-boxes, medicine balls, slam balls, gymnastic rings, kettebells, bumper plates, barbells, jump ropes and climbing ropes. At CrossFit Telic Hartlepool we are fuelling a revelation in fitness and want to give people a breath of fresh air from the impersonal service received at a corporate gymnasium. We will challenge your body and mind, whilst transforming your body’s composition. In a few short weeks you will be capable of performing what you now think is impossible.